Today saw pupils from Harris Academy and St Paul’s RC Academy spend the day at BT House, one of Dundee’s biggest employers, at the BT Skills for Work Boot Camp. This is an incredible opportunity that BT and My Kinda Future have run across Britain for several years and has now been brought to Dundee. Pupils from Morgan Academy, Craigie High School and Baldragon Academy will be taking part next week. 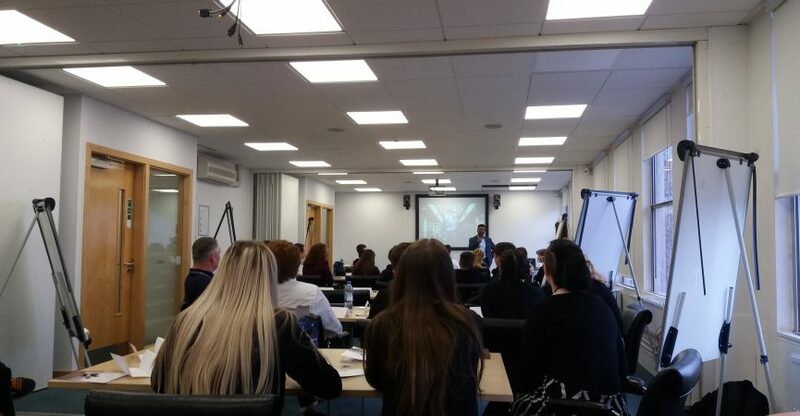 Led by BT’s in-house training team and supported by staff from numerous different teams throughout BT House, pupils have the opportunity to gain invaluable knowledge and experience from current professionals. BT discuss their core values and illustrate the type of skills that set their customer service and employees apart from the rest of the industry. They workshop with the pupils how to create your best CV and how to prepare for an interview, including confidence building techniques. BT discussed the incredible apprenticeship opportunities they offer and the places and roles these could lead young people to. The pupils also got a tour of the building and the chance to see what a thriving work place is like. Being supported throughout the day by current BT employees meant the pupils also got to hear personal stories and experiences. Events like this not only helps pupils develop their much needed soft skills it also gives Dundee’s young people insight into the working world and inspiration about the different paths they can take to create opportunities and a life for themselves outside of education.